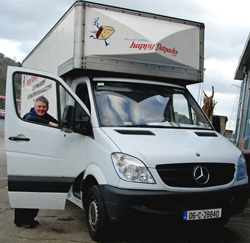 HappyFlatPacks.com are a Cork based company that deliver Ikea furniture to homes throughout Munster. These are just two of the reasons customers are increasingly using HappyFlatPacks.com – we take the hassle out of furnishing your home. Find the products you want to purchase on the Ikea Dublin website and we’ll go get them for you. If you’d like us to take care of assembly, we do that too. HappyFlatPacks.com is run by Eric Murphy (pictured) and is an independant company with no ties to Ikea.